People often ask why we go to Maine every year on vacation. After all, we love to travel, and there are many places we haven't seen yet, so why repeat? 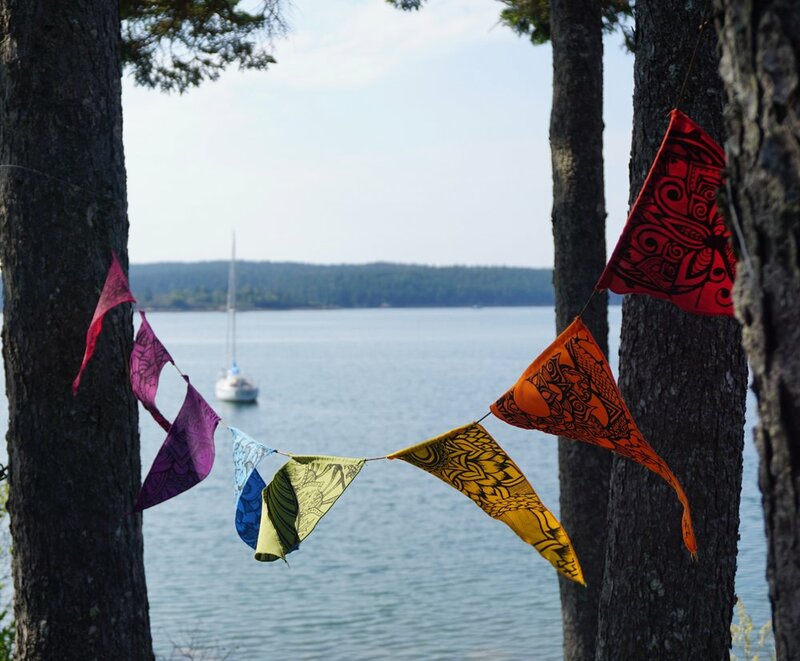 The answer is simple- Maine is one of the most beautiful, peaceful, special places we have ever been. And because we have been there so many times, we can truly relax and recharge. We don't feel the need to go, go, go, like when we travel anywhere else. We never feel like we need a vacation from our vacation when we get home. Part of what makes our time in Maine so amazing is this little gem I stumbled on 3 years ago. The Barnacle. It's located on Seal Cove in Mount Desert Island. 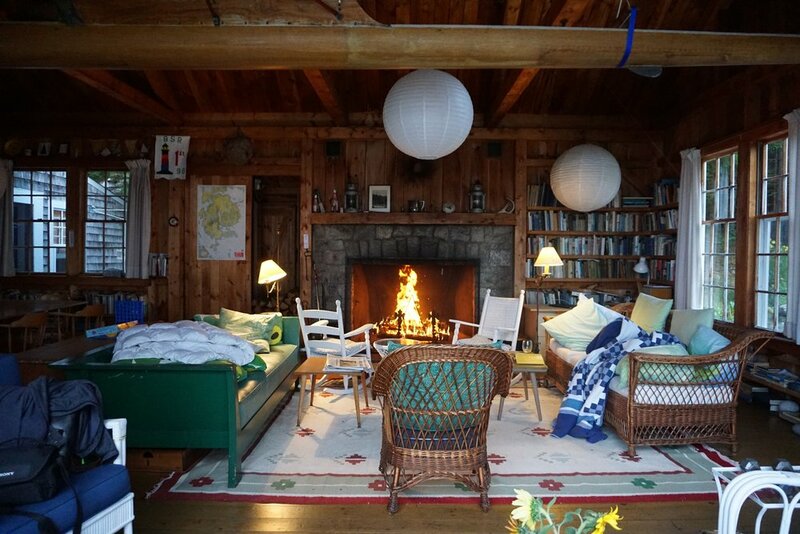 It is part of family "camp", which is a common thing in Maine. The Welch family owns 40 acres and there are 3 other cottages that comprise the camp. 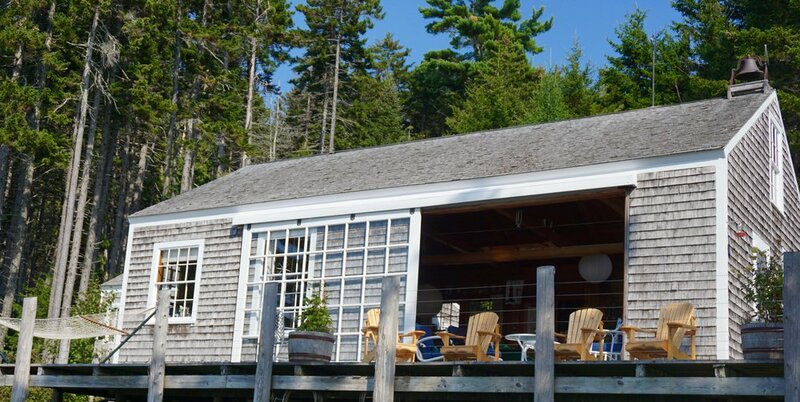 The Barnacle was built in 1950 and it is a veritable time capsule of Welch family vacations. There are books everywhere (some are first editions! ), toys and games (some date back to the 50s! 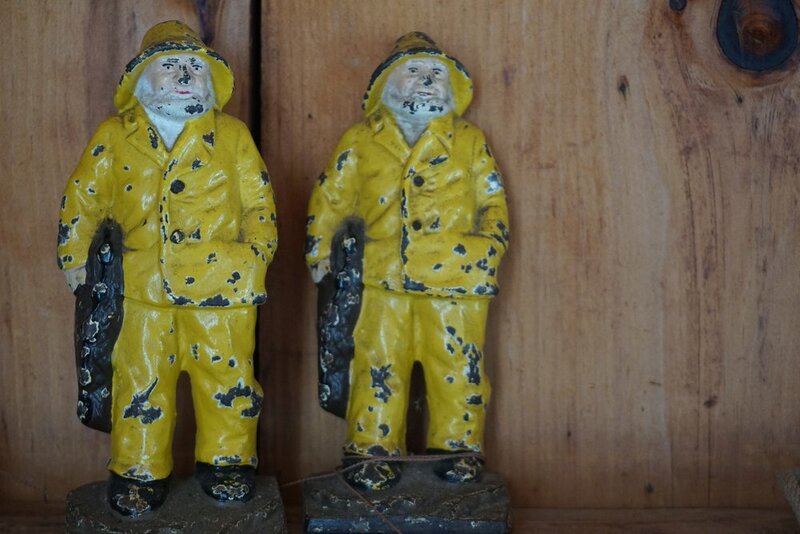 ), sailing awards from over the years, collections of rocks and shells from vacations gone by, and other oddities. There is no TV, internet, or air conditioning, and the cell phone signal works some of the time....I realize this doesn't sound so great to some of you (I'm looking at you sister! ), but for us - it is heaven on earth. Our mornings are spent sitting by the fire, drinking coffee, listening to their classical music cassette tapes, and reading the paper. The loons in the cove sing their crazy song each morning. I never tire of it. The days are spent hiking and biking in Acadia National Park and having lunch in one of the harbors on the island. Evenings are spent at the Barnacle. We watch the sunset with a glass of wine, cook dinner, play Connect Four or Jenga, read by the fire. We finish the night up in the hammock counting shooting stars. If you don't know - Mt. Desert Island is home to Acadia National Park. Arguably the most beautiful national park in the country...even on a cloudy day. One of the most scenic parts of the park is actually an hour off the island - across the bay from MDI - the Schoodic Peninsula. It's a wonderful day trip. I usually read a book a day while I am on vacation. Seems crazy, but you'd be surprised how much time you have when you don't have TV or internet. These are the books I read this week. They were all really different and really good. My favorite was probably Sing, Unburied, Sing by Jesmyn Ward. But I loved all of them and would recommend them to anyone. The Welch camp is managed by a nephew of the Welch's, and his wife; Dave and Sheila Eddison. They live on the property. Dave kindly took us out on his boat to show us around Seal Cove. I was praying to see seals, but we only got a glimpse, because we missed low tide, when they are usually out sunning themselves. We did see a bald eagle, porpoises feeding, loons, and a few gray seals peeking out of the water at us. Even in the fog the cove is beautiful. This was our last morning here and we are already thinking about next year. We can't help it - it just gets in your soul. When we first met this client back in March, we knew this was going to be a fun project. Rob is a single guy who had just purchased an awesome home in the Sedgefield neighborhood. He had very little in the way of furniture, but he did have a new sofa and some cool mid-century tables he had picked up, and he already had his eye on an original piece of art he had seen on Etsy. When he showed us the art, we gave him two big thumbs up, and then we built the room around it. We are often asked how we work....what our process is. With most projects, this one included, after we have the first consultation to meet the client, see the space, and hear their wishes- we start the design process. We make a vision board and send it to the client. Once the client has approved the overall look and feel of the room, we get busy shopping. We were so excited to finally install this project! We love it and so does he. And that makes us very, very, HAPPY! The concept boards are a way for us to communicate the overall feel, style and color pallet of the space. Sometimes the pieces are just representations of possible final selections but often during this process we find and include pieces that we definitely want to use. 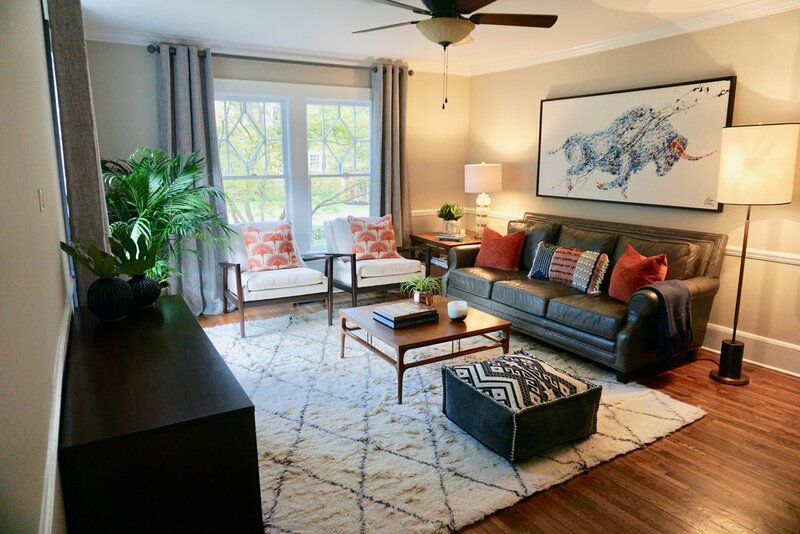 In this case the client loved the first board we presented and gave us the thumbs up to run with it...the outcome was a space that looked almost exact to the concept board. Interior Designer. Storyteller. Art Lover. People Person. Animal Advocate. Rule Breaker. Cupcake Devourer. Cheap Wine Aficionado. Bad Singer that Sings Anyway. Wife. Daughter. Sister. Friend. Dreamer.